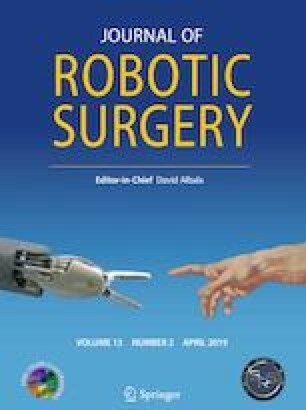 The aim of the study was to evaluate clinical, pathological and peri-operative factors associated with the risk of positive surgical margins (PSM) after robot-assisted radical prostatectomy (RARP) in a high-volume center. The study is a retrospective analysis of prospectively collected data. We excluded cases who were under androgen deprivation or had prior treatments. The population included negative cases (control group) and PSM subjects (study groups). The logistic regression model assessed the independent association of factors with the risk of PSM. From January 2013 to December 2017, 732 patients underwent RARP. Extended pelvic lymph node dissection was performed in 342 cases (46.7%). Overall, 192 cases (26.3%) had PSM. Independent factors associated with the risk of focal PSM were body mass index (odds ratio, OR = 0.936; p = 0.021), percentage of biopsy-positive cores (BPC; OR = 1.012; p = 0.004), pathological extracapsular extension (OR = 2.702; p < 0.0001), seminal vesicle invasion (OR = 2.889; p < 0.0001) and high-volume surgeon (OR = 0.607; p = 0.006). In high-volume centers, features related to host, tumor biology and surgeon are independent factors associated with the risk of PSM after RARP, which are decreased by the high-volume surgeon. The inverse association between BMI and PSM risk needs further clinical research. These issues should be discussed when counseling patients. Antonio Benito Porcaro and Alessandro Tafuri contributed equally to this manuscript. The authors did not receive a financial support. Antonio Benito Porcaro, Marco Sebben, Paolo Corsi, Alessandro Tafuri, Tania Processali, Marco Pirozzi, Nelia Amigoni, Riccardo Rizzetto, Giovanni Cacciamani, Arianna Mariotto, Alberto Diminutto, Matteo Brunelli, Vincenzo De Marco, Salvatore Siracusano and Walter Artibani declare that they have not conflict of interest. All procedures performed in studies involving human participants were in accordance with the ethical standards of the responsible committee on human experimentation (institutional and national) and with the Helsinki Declaration of 1975, as revised in 2000. Informed consent was obtained from all individual participants included in the study.